The Great Barrier Reef is the largest coral reef system in the world measuring up to 2,300 kilometers in length and covering as much as 344,400 square kilometers. It is considered to be the world’s greatest natural treasure. The reef system is only found in Australia, It occurs on the Coral Sea. The interesting fact about the Great Barrier Reef is that you can even view it from the outer space—that indeed makes it the biggest structure to be made by living organisms. It’s now time to know all about Great Barrier Reef and study in detail the most amazing and interesting Great Barrier Reef facts for kids. Great Barrier Reef is the biggest living organism on Earth. Great Barrier Reef facts for kids. The reef isn’t just the crystal clear water comprising magnificent bodies or tourist ads. Nor does it the habitat for numerous marine species. It is itself the living thing—probably the biggest living thing which can be seen from the space. The reef is actually made up of trillions of animals—while some are quite harmless many are terrifying. Scientists aren’t able to understand the reef in its entirety for it is so wide and so extensive reaching up to 2,300 kilometers. Where is the Great Barrier Reef Located? The Great Barrier Reef is located off the coast of Queensland, Australia. The reef is primarily found in the Coral Sea. The total area the Great Barrier occupies is estimated at 133,000 square miles. In kilometers it is about 344,400 square kilometers. The reef consists of 2,900 individual reefs. The Great Barrier Reef has 900 islands. The Coral Reef system is nearly half the size of Texas. It is bigger than the Netherlands, Switzerland, and United Kingdom combined. According to the Great Barrier Reef Marine Park Authority (GBRMPA), the earliest evidences go back to 600,000 years old. However the CRC Reef Research Center claims that the present age of the living coral reef is about 6,000 – 8,000 years old. The Marine Park Authority further claims that the current form of the Great Barrier Reef had started growing around 20,000 years ago. The total length of the reef is about 2,300 kilometers. Who Discovered the Great Barrier Reef? Captain James Cook, an English explorer and naval officer, discovered the Great Barrier Reef for the first time in 1770. How Deep is the Great Barrier Reef? The continental slopes and the outer reefs are however as deep as 2,000 meters. How was the Great Barrier Reef Made? Around 20,000 to 6,000 years ago, the sea level began to raise so do the corals. 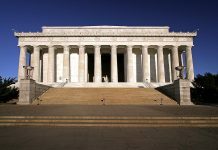 Scientists suggest that about 13,000 years ago, the sea level was 200 feet lower than it is now. According to the Reef Research Center, the land that forms the current reef system thought to be remnants of either volcanoes or older reefs. The Australian Institute of Marine Sciences (AIMS) claims that the current Great Barrier Reef had begun during the Last Glacial Maximum. The reef started off forming when the free-swimming coral larvae stick to the underwater rocks that occur along the island’s edges. As the corals continued to grow, reefs assumed any of the three characteristic structures—barrier, atoll, and fringing. Atolls are circular in shape. The corals then attached to the submerged hills to give rise to the present reefs and cays. The Great Barrier Reef plays a vital role in native people’s culture, tradition, and spirituality. The reef system is pretty famous for its tourist attractions particularly in the regions of Cairns and Whitsunday Islands. It is home to 1,500 species of fish and 30 species of dolphins, whales, and porpoises. Aboriginal Australians as well as Torres Strait Islander peoples have long been using Great Barrier Reef for multiple purposes. Aboriginal Australians have been living in this area for as long as 40,000 years. The reef has been familiar to the Torres Strait Islander peoples since 10,000 years ago. There are around 70 native clan groups. They consider the Great Barrier Reef as a significant cultural feature. They also rely on animals and plants of the reef. The world’s largest coral reef attracts, perhaps understandably, as many as 2 million visitors each year. It is the most popular tourists’ destination for visitors around the world—generating 5 – 6 billion Australian dollars for the country. Where Does the Great Barrier Reef start? The coral reef actually occurs off the coast of Queensland in Coral Sea. It begins at the Cape York Peninsula in the north and goes all the way to Bundaberg in the south. How to go to Great Barrier Reef from Cairns? Depending on the island you’re staying, it generally takes 45 to 90 minutes to get to the Great Barrier Reef. You can leave Cairns or Port Douglas at 8:00 a.m.
How Much Coral is in the Great Barrier Reef? There are around 400 coral species occurring in the reef. This includes both soft corals as well as hard corals. The Great Barrier Reef hosts as many as 330 species of ascidians with the diameter measuring 1 – 10 cm. About 300 – 500 species bryozoans are found in the reef. About 500 species of seaweed and marine algae are found on the reef. The boulder corals which have a lifespan of about one thousand years—is probably the longest living coral on the reed. Staghorn corals grow up to 30 cm in height a year. Reefs grow up to 490 feet in height due to their need for sunlight. They do not however grow above the sea level. How Many Miles is the Great Barrier Reef? The reef stretches over an area of 1,400 miles. When will the Great Barrier Reef be Gone? Scientists warn that if the global warming continues to increase at a present rate, then the Great Barrier Reef is going to be extinct by 2030. It isn’t a warning by the green activists, it’s a conclusion drawn by the coral reef experts. How Much Does the Great Barrier Reef Make a Year? The largest reef system has long been serving tourists around the world. The Great Barrier Reef makes 3 billion Australian dollars a year. How many Islands are there in the Great Barrier Reef? There are 900 islands in the Great Barrier Reef. Who owns the Great Barrier Reef? The aboriginal people are thought to be the first of the Australians. They are also world’s oldest civilization. Torres Strait Islanders people together with the Aboriginal Australians traditionally own the Great Barrier Reef. Both these indigenous groups of Australia have been in centuries-old relationship with the reef. 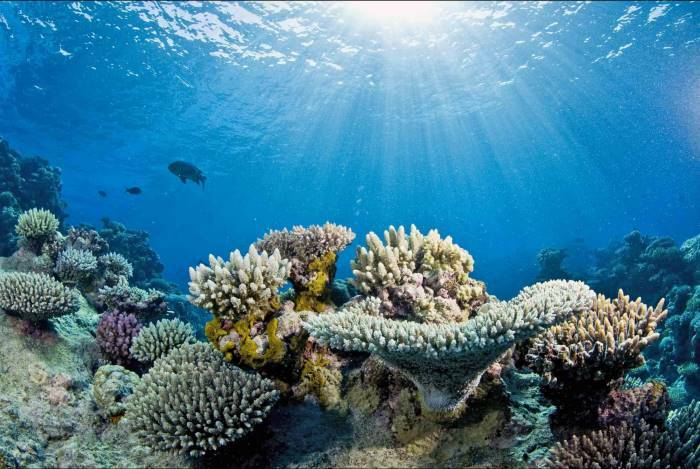 Nonetheless, the Great Barrier Reef Marine Park Authority (GBRMPA) is there to protect the reef. The Reef attracts as many as 5 to 6 million visitors a year from around the world. Great Barrier Reef facts for kids. Why is it called the Great Barrier Reef? The reef has earned its name due to the fact that it’s actually an outer reef. It occurs on the Australian continental shelf with the channel between the reef and the coastline measuring up to 60 meters deep. Fringe reef is another reef type that occurs on the coastline of islands and land. What type of reef is the Great Barrier Reef? There are generally four types of reefs; fringing reefs, atoll, barrier reefs, and patch reefs. The Great Barrier Reef is a type of fringing reef. What continent is the Great Barrier Reef? The reef is located on the continent of Australia. Is the Great Barrier Reef a World Heritage Site? Yes, the reef is a world heritage site. It received the heritage status back in 1981. The Great Barrier Reef is probably the first coral system to receive the heritage status. What sea is the Great Barrier Reef in? The Great Barrier Reef situates on the Coral Sea. The reef is bright-colored crystal clean water—perhaps the biggest colony to host millions of marine species. It is an untamed living organism—made up of trillions of animals. What do People do at the Great Barrier Reef? 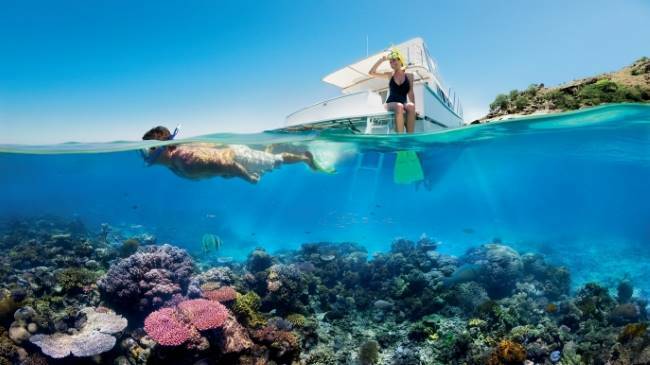 There are quite many things to do at the Great Barrier Reef such as: Whitewater Rafting, Hot Air Ballooning, Low Isles Sailing Cruise, Scenic Helicopter Flight, and Seaplane Flight over the Whitsundays. 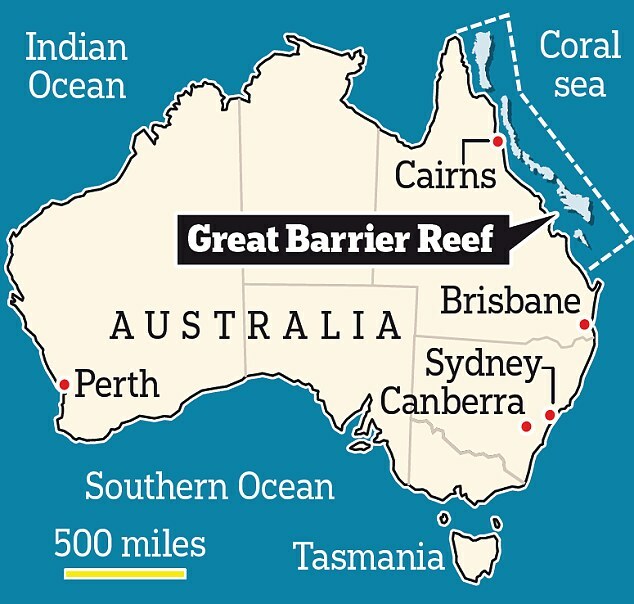 How Far is the Great Barrier Reef from Australia? The reef is about 1,632 kilometers from Australia. How to Help the Great Barrier Reef? You can do many things to save coral reefs from dying out. You can plant trees, help reduce pollution, conserve water, support reef-friendly activities, not disposing any unwanted stuff into the water, and volunteering for a coral reef cleanup. 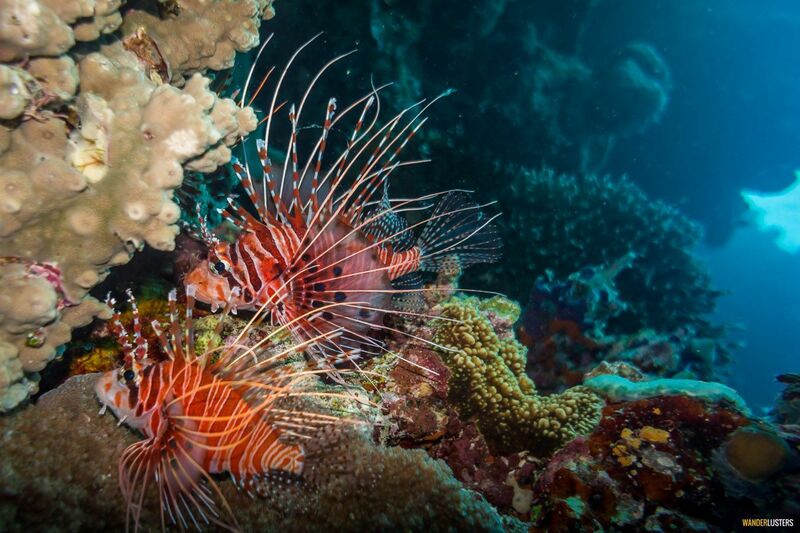 The reef hosts 1,625 species of fish that includes 1,400 coral reef species. About 133 species of rays and sharks live on the reef. About 100 species of jellyfish are found on the reef. Can you see the Great Barrier Reef from space? Yes, you can see the reef corals from the outer space. It is the only living organism made naturally to be viewed from the space. What Ocean is the Great Barrier Reef in? The biggest living thing and the world’s most extensive coral reef lie on the Pacific Ocean. The reef comprises as many as 500 species of marine algae including red, purple, brown, green, and blue-green algae. Much of the reef is composed of underwater seagrass called back reefs. Mangroves are also quite abundant in the reefs. The reef is so widespread that it is not only home to corals or tiny microscopic planktons—the reef is hosts a good many number of marine predators. There are about 3,000 species of molluscs living in the reef. The reef has 215 bird species. It has six species of sea turtles. The Great Barrier Reef has 133 species of rays and sharks. There are also 630 species of starfish and sea urchins. About 14 species of sea snakes inhabiting the reef. About 30 species of dolphins and whales are living in the reef. Great Barrier Reef consists of 950 species of tiny animals that look like corals. It has 20 species of marine insects together with 5 species marine spiders. The reef is found in Australia, Queensland. The reef has 14 coastal ecosystems all of which are vital to the function of the reef. The ecosystems include seagrass, coral reefs, coastline, lagoon floors, estuaries, open water, islands, freshwater wetlands, sedgelands, forested floodplains, grass, heath, shrublands, forests, rainforests, and woodlands. Major threats to the coral reef are climate change, fishing, pollution, and crown-of-thorns starfish. Tropical cyclones, oil spills, and shipping are secondary threats that are leaving adverse effects on the health of the coral reefs. Studies suggest that the reef has lost 50 per cent of its entire corals—most of them occurred in 1998. Due to the disease called Skeletal Eroding Band around 31 coral species have died out. The Reef is also suffering because of the loss of coastal wetland. The climate change is believed to be the greatest threat to the Great Barrier Reef. The rapid climate change has led to the ocean warming which increases coral bleaching. As a result of global warming, the corals are least likely to compete with the ocean temperatures. 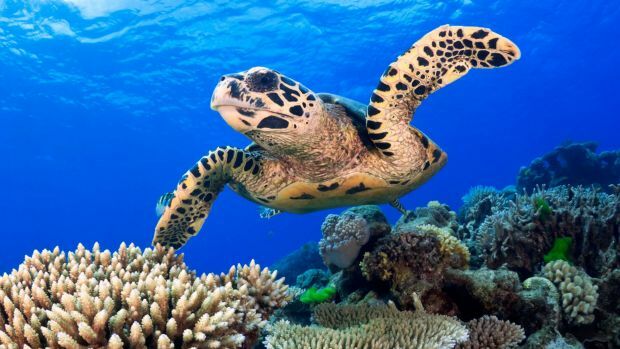 The climate change also leaves adverse impacts on the turtle’s population in the reef. The factsforkids.co isn't only a comprehensive fact guide that explains just about anything on a given topic—it's actually an authoritative site. Through this we'll be compiling many interesting and fascinating facts for kids ranging from the world's most famous monuments, sites, places, and mountains to the the most prominent personalities of the world who made a strong impact on the generations to come.